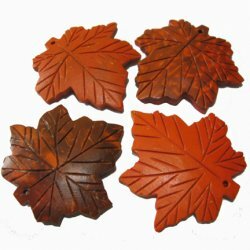 Recycled from the waste of coconut palm, the coconut shell were carved into beautiful leaves. Perfect for craft and jewelry making. Colors may vary from the original due to the natural characteristics of the coco shell.